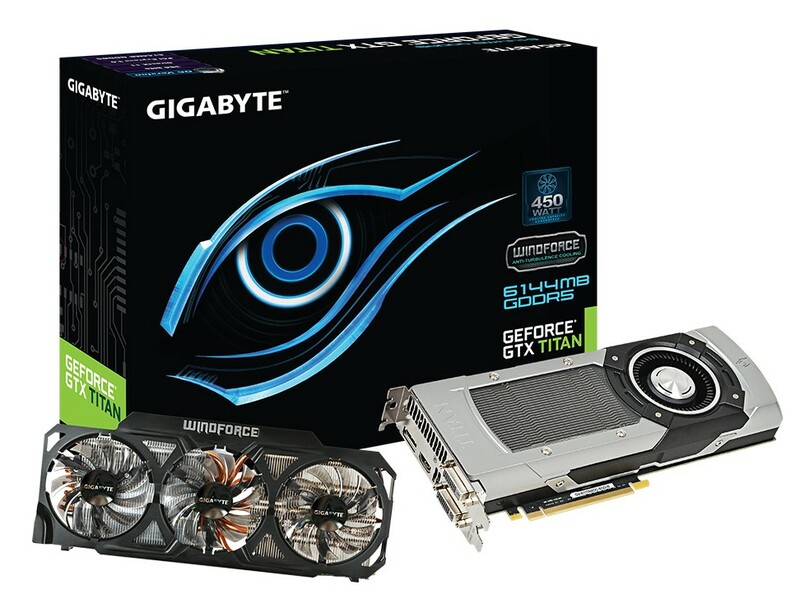 Gigabyte has finally added the new TITAN to its lineup, this time with a custom cooler, sort of. 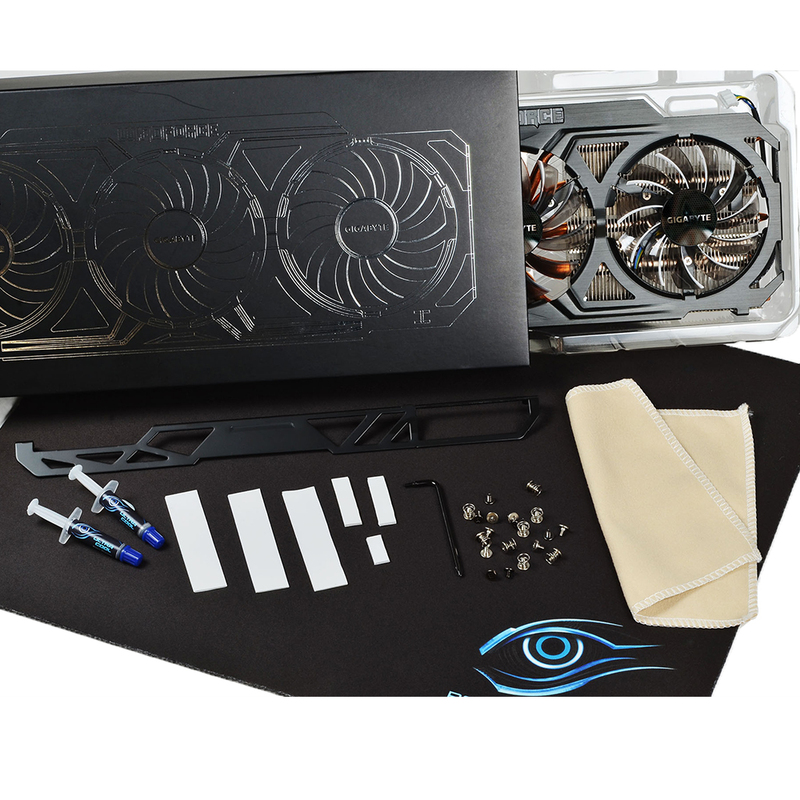 Due to NVIDIA’s restrictions, AIB partners are not allowed to modify the GTX TITAN with custom air cooling solution. 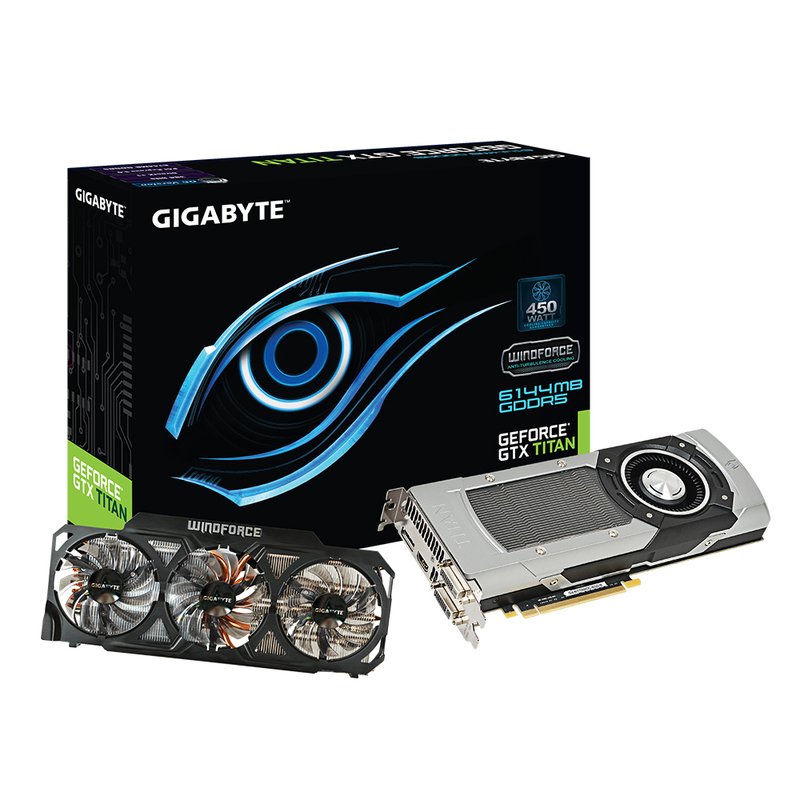 Gigabyte found a way around, as reported a week ago. 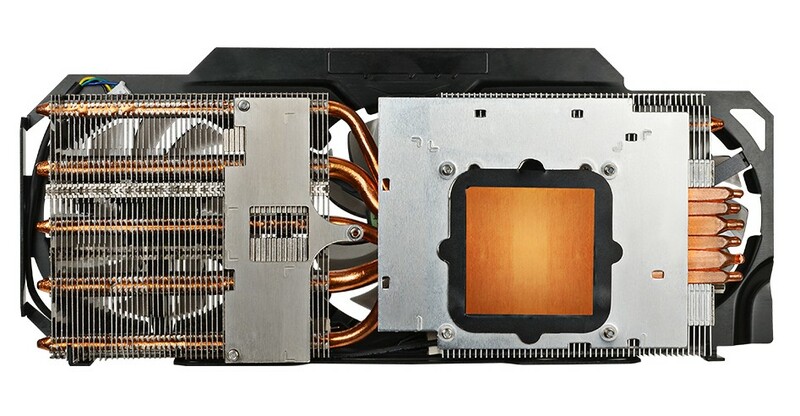 Gigabyte’s GTX TITAN OC is equipped with a reference cooler by default. 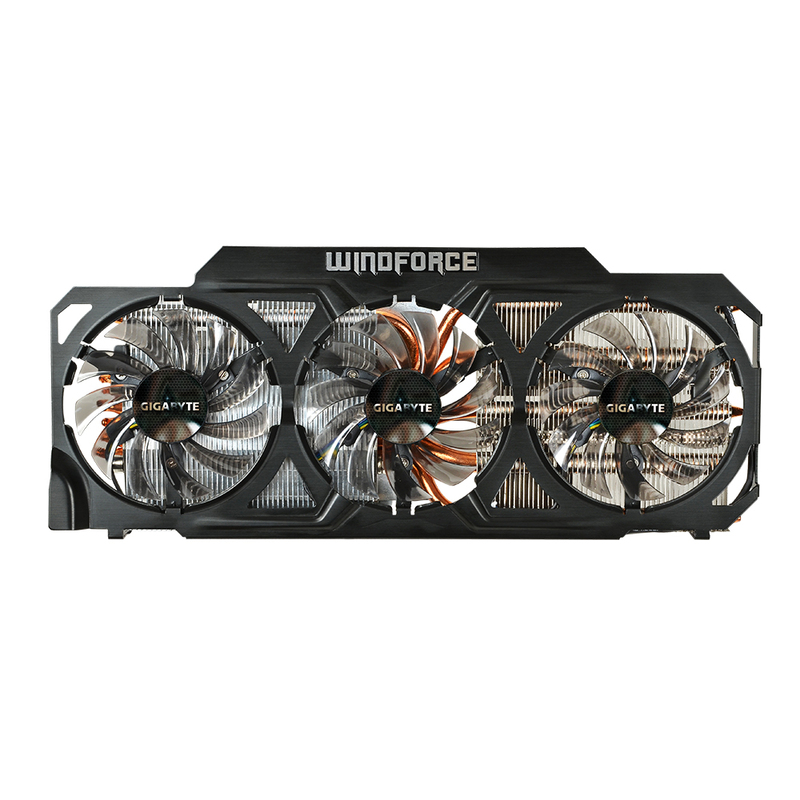 In slightly bigger box, there’s also an additional WindForce 3X 450W cooler, meaning you will have to change it on your own. 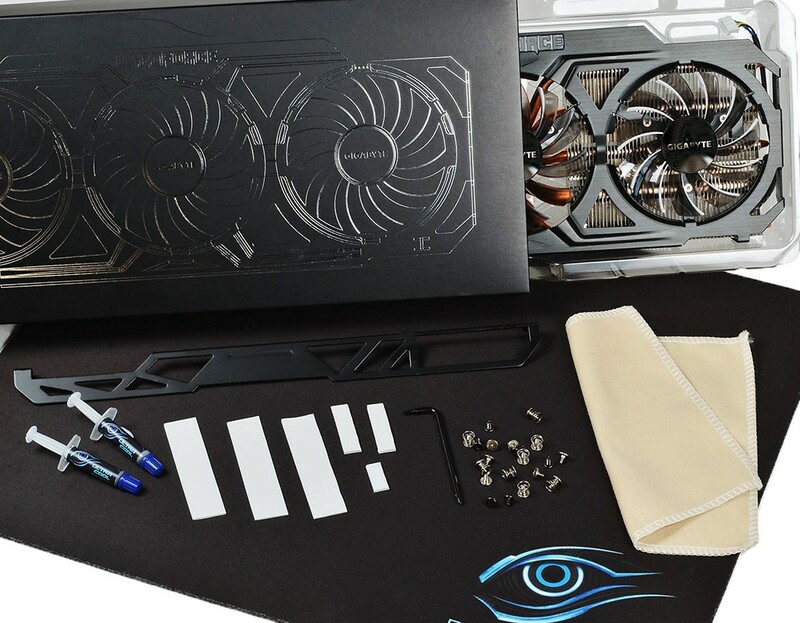 This is not be a problem since everything starting from from a guide, thermal paste, memory heat removers, a cloth, and even a mouse pad is added with the new cooler. 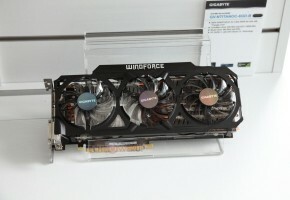 The WindForce 3X 450W is the latest addition to high-end models made by Gigabyte. 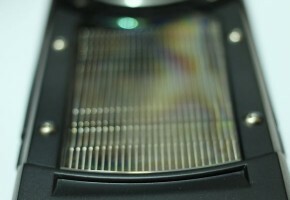 It’s a dual-slot design which packs three fans (Triangle Cool Technology). 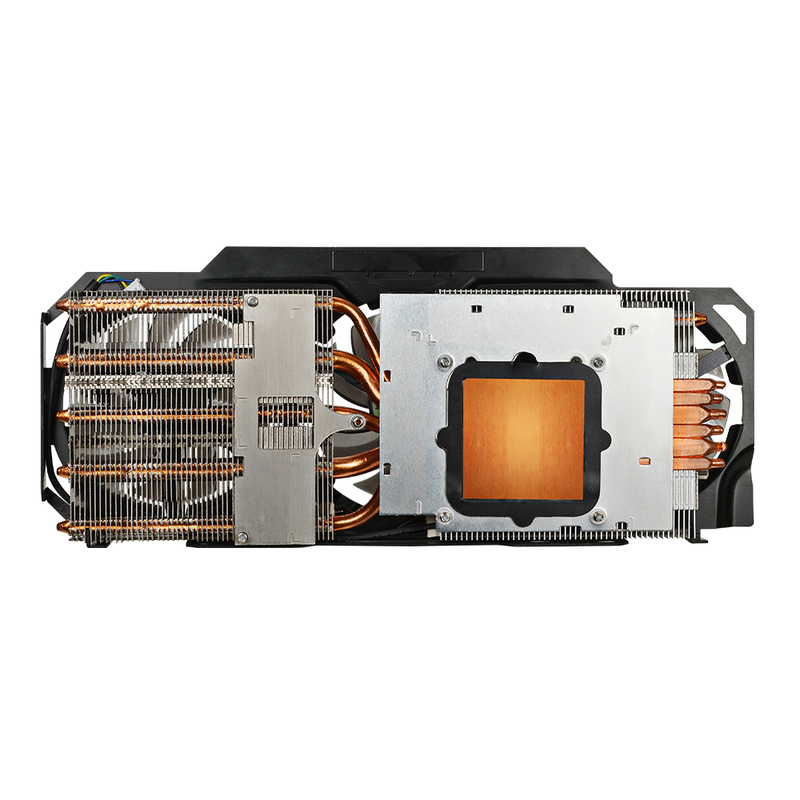 Along with that we have a two aluminum heat sinks and six copper heat pipes. 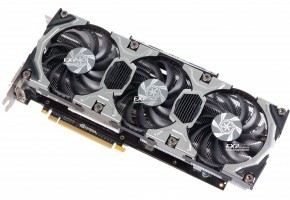 The card itself is clocked at 928 MHz for base and 980 MHz boost, but since the card will use a custom cooler the boost clock will vary depending on the thermal conditions. 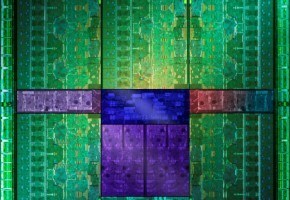 Anyway, the card is already factory-overclocked by almost 100 MHz, which is surely a good starting point for even more advanced overclocking. 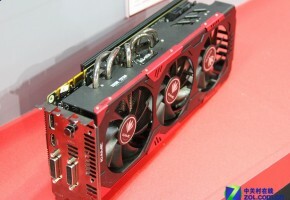 It seems that the price of the WindForce model is not much different from the reference based (~1020 EUR). 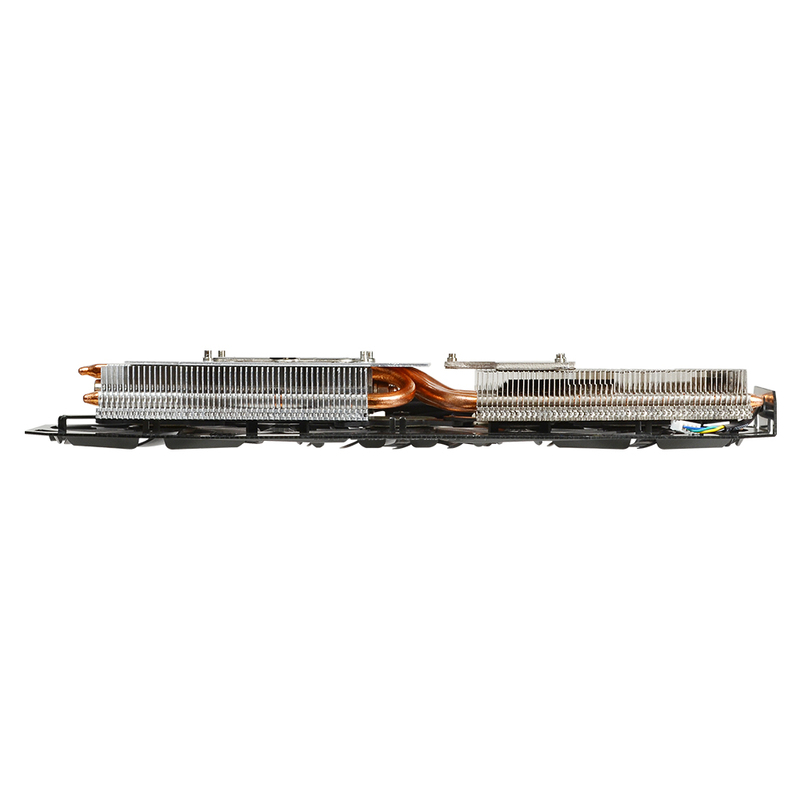 It’s also worth noting that cooler replacement does not affect the warranty.